The following items are from discontinued projects or are surplus to requirements. All can be used for experimentation or to build working Electrostatic Loudspeakers. We have a quantity of our 505 mini panel power supply circuit boards available at giveaway prices. We very cleverly managed to miss out a couple of tracks on the HV multiplier section before ordering the boards from our supplier. Needless to say, we found the error quickly but ended up with a bunch of boards that require minor modification to fix them. The board is designed to carry the panel audio transformer, input filter capacitor, an adjustable voltage regulator the EHT supply (variable output) and panel protection circuitry. The various sections are discrete so may be used or not depending on your requirements. 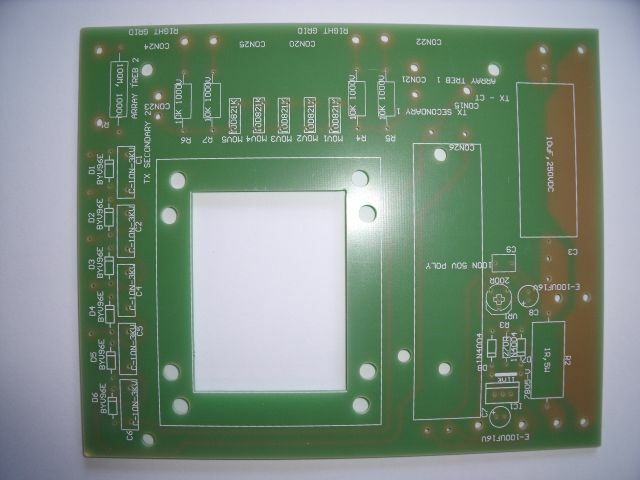 The board is supplied bare and can be used as the basis for any small panel project. 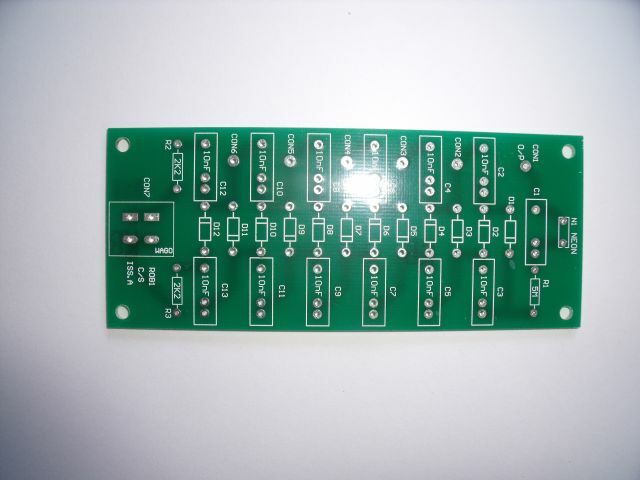 We also have a quantity of EHT multiplier boards available. There’s nothing wrong with these at all, they’ve just been superseded by a later design that carries an on board regulator and output adjustment. Acorn CNC’d panels with reduced air gap. We have a limited number of Acorn panels CNC’d from 10mm thick plastic with a reduced air gap. These were intended for use in Hybrid systems with a dynamic bass driver. While the completed panel has reasonable bass performance, they are more suitable for use from around 120 Hz upwards. Each panel has a dedicated bass, mid range and treble section which can be easily tuned to deliver the desired frequency range. These panels will require stators to make them complete. Cost: AUD $47.00 each (panel only) includes edge channel to clamp the panel halves together. We have a limited number of Acorn stators suitable for the panel above. These have been powdercoated incorrectly but will give trouble free service as long as they have a light coat of insulating varnish sprayed over them after they have been glued into the panel. 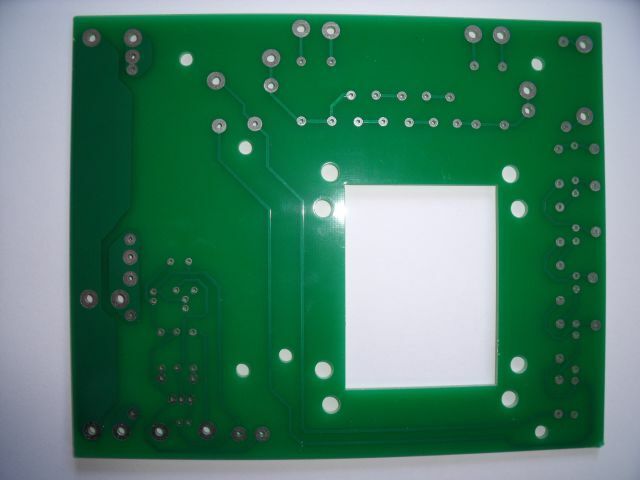 Above, 505 panel power supply board top and bottom view. 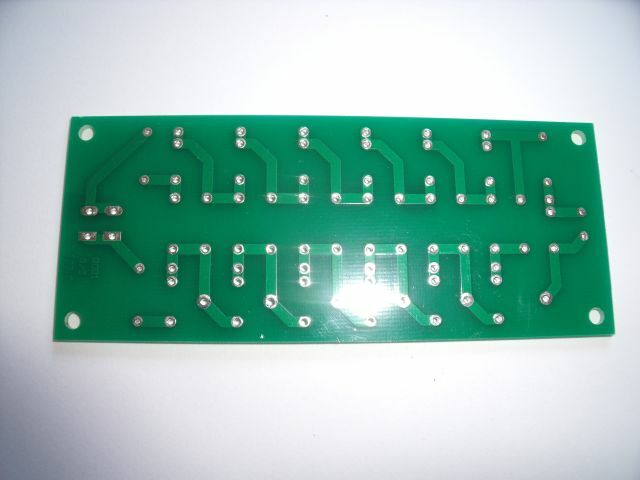 The error can be rectified easily by pushing the component through its mounting holes and bending a leg over to create the missing track before soldering it in place. Acorn EHT supply board, surplus to requirements.